Support the time-saving False Dupe feature. Normally when merging records, the values from the record you select as the Master take priority during the merge. This is often what you want but sometimes you want to keep the email from the dupe, using the check boxes you now get what you want. Have you ever experienced that you detect an error on the record while merging, and want to correct it right away, or even keep the alternative email from the dupe, right? This is now possible, by simply copy/paste or manual edit prior to the merge. Merging contacts which also are Portal users (community) can cause a big headache. If you accidently or deliberately choose the portal user as the Dupe, i.e. 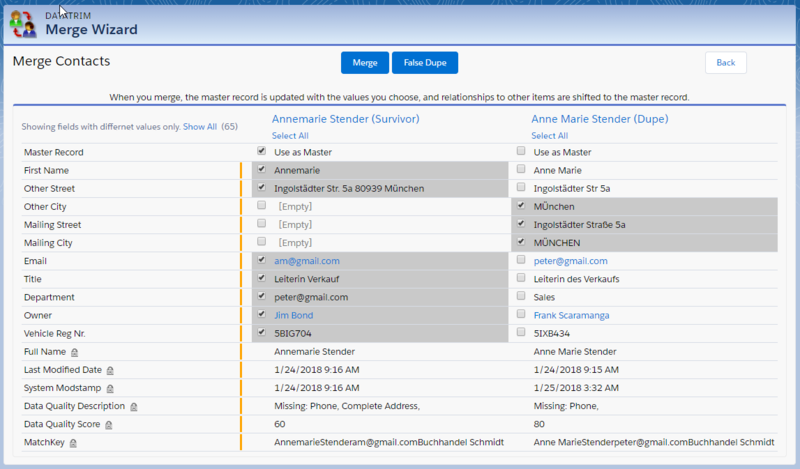 the contact which after the merge is deleted, you will also disable the portal user. And there is currently no way to relink the portal user with the surviving contact.. So when merging it is important to be aware of this and make the merge decision upon facts. 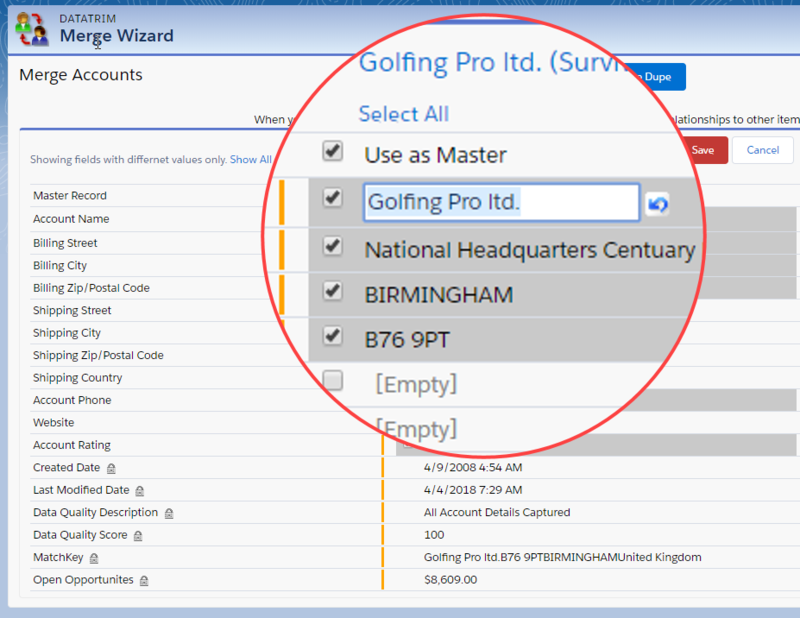 The DataTrim Merge Wizard will indicate to you if a contact is a portal user or not. The upgrade is Free, and is part of your subscription like all other updates we apply to our packages. Once you have upgraded to the most recent package version, you will have to make the new Merge Wizard your Default Merge Wizard. 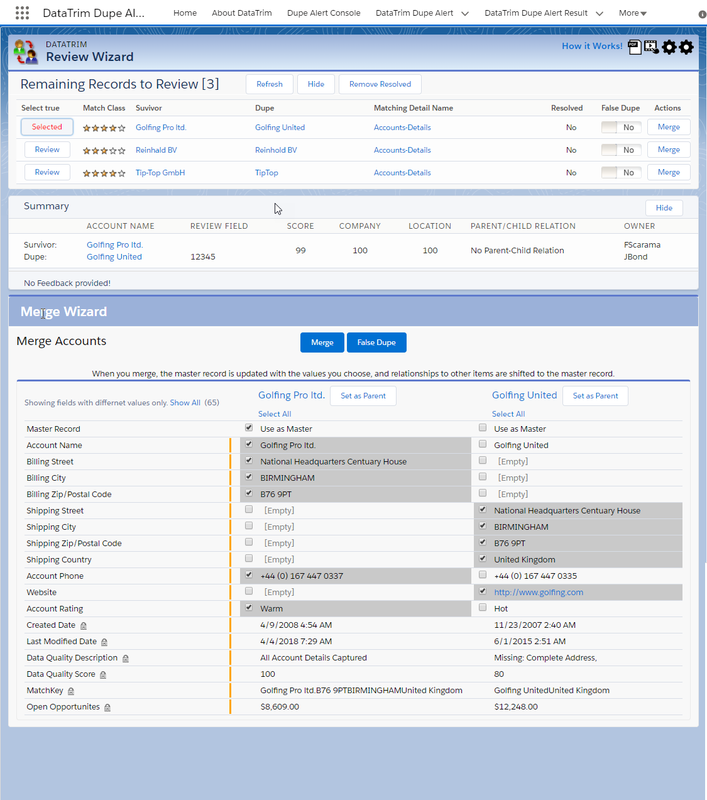 From the Dupe Alert Console tab, go into setup, and then Default Merge Wizard. 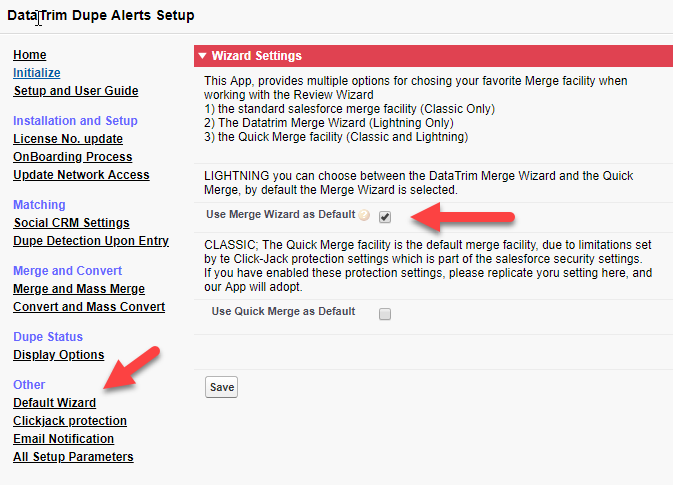 Here you simply select the Merge Wizard as default, and you are all set.